In April of 2009, our client, a high school student named Pedro, was participating in a game of hockey. This game was not part of an organized league; it was merely an activity in his high school physical education class. The game was comprised of two teams, with Pedro on one team and the gym teacher on the other. While two additional students were technically also on each team, they were not actively participating, and the game essentially became a one on one battle between Pedro and the teacher. Unfortunately, while attempting to score a goal, the gym teacher took a “slap shot,” which is a type of shot in hockey where the stick is raised higher than usual to give it more force and to make it more difficult to stop. When the hockey stick came down to strike the puck, the stick struck Pedro’s hand causing him severe personal injuries. 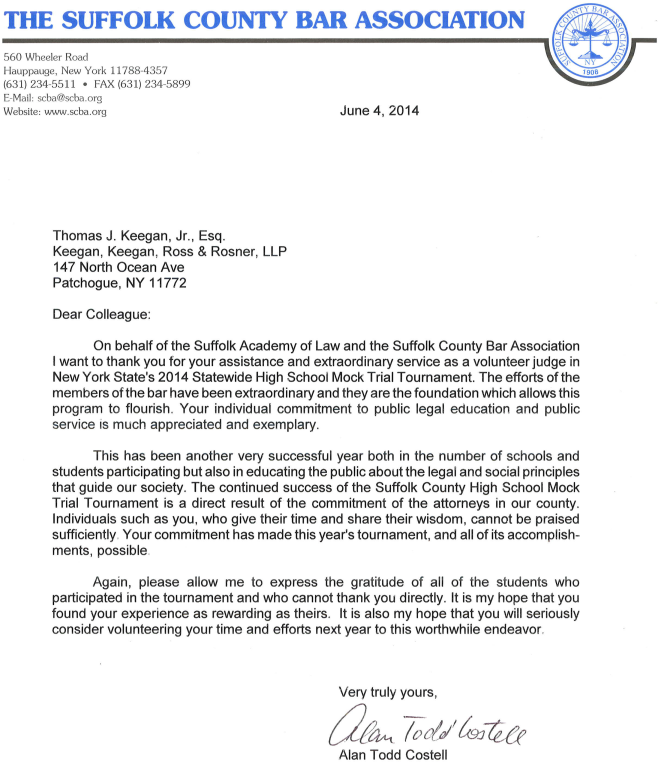 As a result, our firm was retained and a lawsuit against the school district commenced. Our theory of liability against the school district was based upon negligent supervision. We argued that our client’s participation in the game under those circumstances represented an unreasonable risk of injury to the plaintiff. Furthermore, in taking a slap shot, the teacher violated the rules of the game, which were intended to prevent injuries like the one Pedro suffered. The school district made a motion to dismiss the case claiming we did not offer any evidence that the school or teacher breached their duty to adequately supervise Pedro. The court agreed with the school district, holding that Pedro’s circumstances were akin to other cases “where the injury causing incident occurs near spontaneously and without any opportunity to intercede to prevent same no matter how diligent and focused the supervision.” In other words, the court felt that the slap shot was a spontaneous incident and could not be avoided. We respectfully disagreed and brought the matter on appeal to the Appellate Division, Second Department. 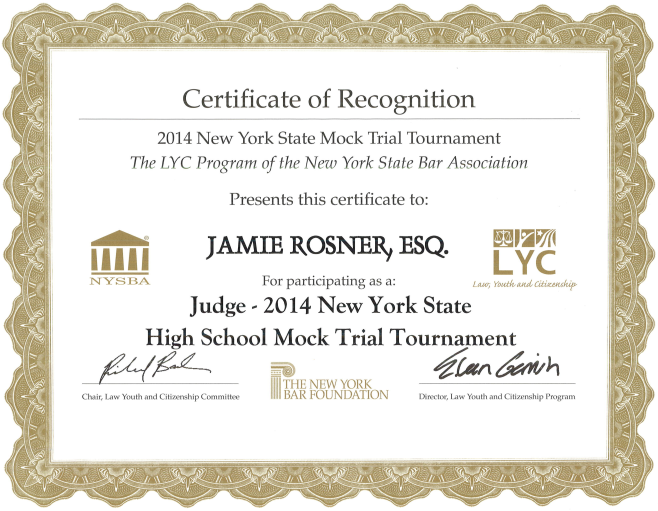 The defendants’ submissions raised questions of fact as to whether the conduct of [the gym teacher], who was participating in the game during gym class and was involved in the contact which allegedly injured the plaintiff, constituted proper supervision, as well as whether the alleged negligent supervision was a proximate cause of the plaintiff’s injuries. Although the fight is not yet over, we are glad to have been able to take this step towards ensuring that Pedro’s injuries are properly compensated for. As anyone who’s recently visited the Village of Patchogue knows, parking meters have become a new addition to the roadways. As of January 2, 2014, parking meter enforcement is in effect for Main Street, South Ocean Avenue and Railroad Avenue. Parking meters are active Monday through Saturday between 10 A.M. and 2 A.M. the following day. It’s $0.25 for 30 minutes between 10 A.M. and 6 P.M., with a 90 minute time limit. From 6 P.M. to 2 A.M., it’s $0.50 for 30 minutes or $5.00 to park from 6 P.M. to 2 A.M. with no time limit. Parking is free on Sundays and major holidays, and there are free 15 minute parking areas during the day near businesses where people are designed to quickly come and go. However, these spots become paid parking in the evening after normal business hours. There are also plans to install meters in certain parking lots around the Village. With these changes it’s not surprising that many people have questions. Park Mobile, the company that provided the technology behind the parking meters, is hosting an Information Kiosk at 8 AM on Monday, January 20, 2014 in front of Roast Coffee & Tea located at 41 East Main Street. The kiosk will remain open for as long as there is interest, so it’s expected to go at least late into the afternoon. 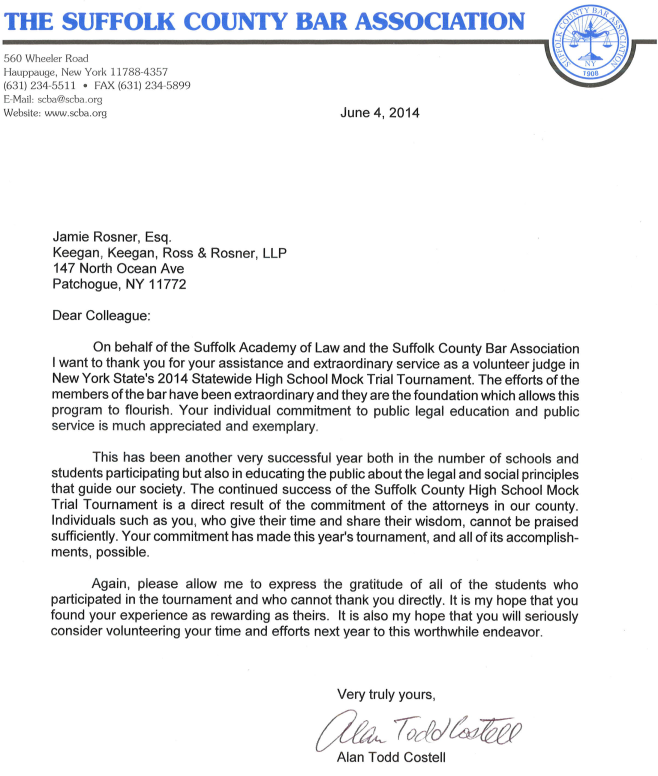 St. John’s University School of Law recently published the article featured below in their DeNovo Alumni journal. 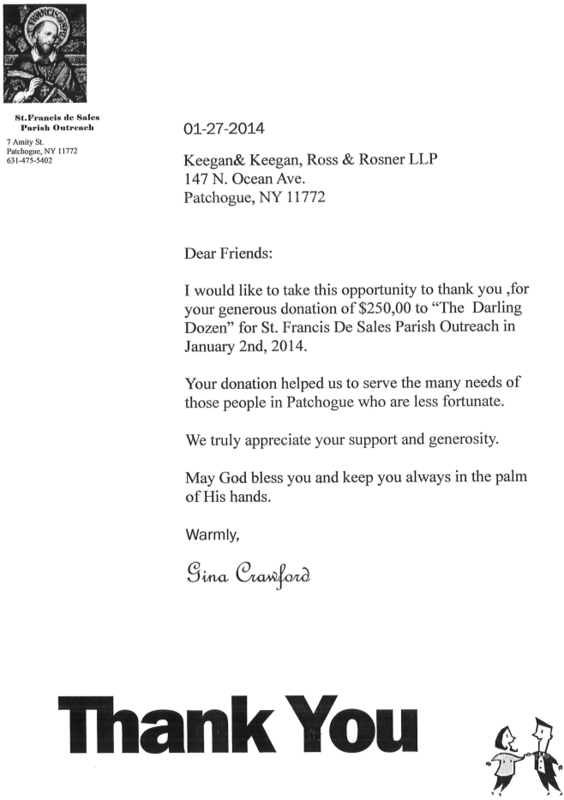 On February 6, 2014, the Suffolk County Bar Association will be hosting the third annual Cohalan Cares for Kids fundraiser. The event takes place at 560 Wheeler Road, Hauppauge, New York between 6:00 PM and 8:00 PM. Sponsorship packages are available and individual tickets are $50. 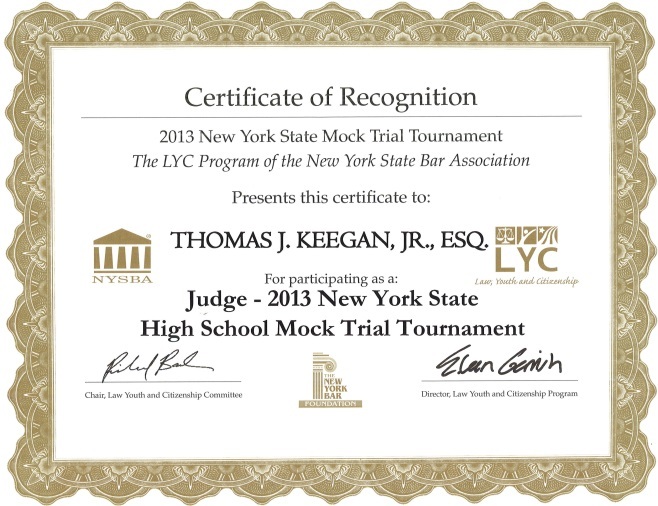 For more information, please contact Beth Seidman at (516) 539-0150 x123 or visit http://eacinc.org. The registration form is also available here. Keegan & Keegan, Ross & Rosner, LLP, along with Active Voice, Of Colors, and the Greater Patchogue Foundation, Inc. were proud sponsors. 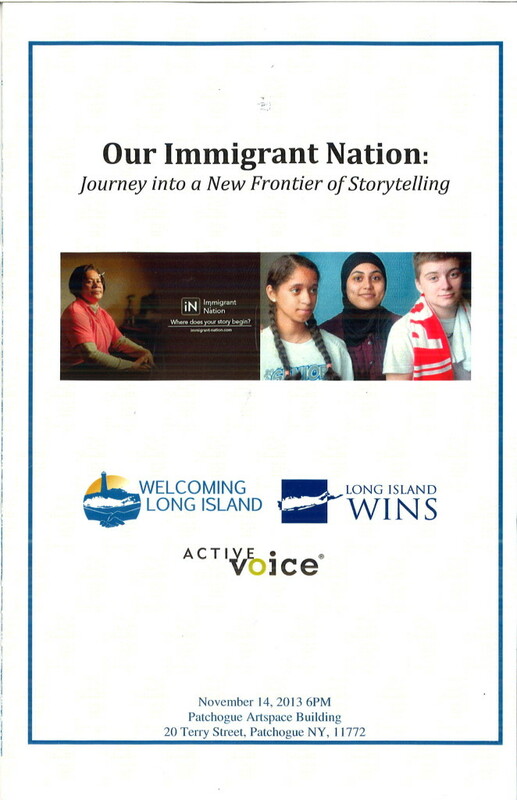 The program highlighted the history of many of the participants’ background pointing out that we are all immigrants. Undoubtedly the highlight of the evening was the story of a 90 year old lady telling of her experience as a new immigrant in New York City in the second grade, over 80 years ago. In her brief but moving and telling story, she reminded all that whether your ancestors arrived on the Mayflower in 1620 or traveled by bus from Mexico last year, we are indeed a nation of immigrants.